Produced by Bob Ezrin & David Gilmour. 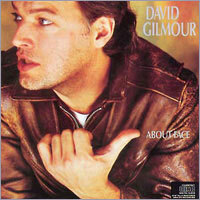 All songs written by David Gilmour except Love On The Air and All Lovers Are Deranged by David Gilmour and Pete Townshend. 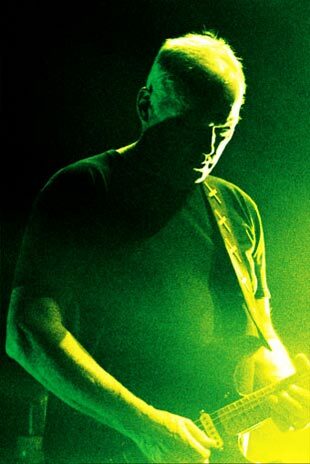 David Gilmour  Guitar, vocals. Jeff Porcaro  Drums, percussion. Pino Palladino  Bass guitar. Ian Kewley  Hammond organ, piano. Steve Winwood  Piano, organ. The Kick Horns  Roddy Lorimer, Barbara Snow, Tim Sanders, Simon Clarke. Vocals: Vicki & Sam Brown, Micky Feat, Roy Harper. Arranged by: Michael Kamen with Bob Ezrin. Recorded by: Andrew Jackson and Kit Woolven at Pathe-Marconi Studios, Paris. Assisted by: Robert 'Ringo' Hrycyna, Simon Sullivan, Mark Frank, and Kevin Whyte. Mixed by: James Guthrie at Mayfair Studios, London. Assisted by: Bob Parr, Ollie Fitzjones, and Robert 'Ringo' Hrycyna. Orchestra recorded by: Eric Tomlinson at Abbey Road Studios. Special thanks to: Pete Townshend and Nick Laird-Clowes. Reissue mastered by James Guthrie with Joel Plante at das boot recording.